While California’s native plants have graced gardens worldwide for over a century, few of the landscapes designed for our state’s gardens reflect the natural splendor for which California is famous. By gardening with native plants, you can bring the beauty of California into your own landscape while also receiving numerous benefits. UC Davis Arboretum All-Stars - The horticultural staff of the UC Davis Arboretum have identified 100 tough, reliable plants that have been tested in the Arboretum, are easy to grow, don’t need a lot of water, have few problems with pests or diseases, and have outstanding qualities in the garden. Many of them are California native plants and support native birds and insects. Most All-Star plants can be successfully planted and grown throughout California. CA Native Garden at the UC Davis Arboretum - Plant this California Native Garden at home. The design below was developed for your home garden by Arboretum experts. The plan below is based on a 10-foot by 10-foot garden bed. CA Natives in San Joaquin CountyCA Natives in San Joaquin County - Includes sample plant list, suggested books and websites. Las Pilitas Nursery - A Native Plant Nursery in Southern California. Their web-site is FULL of information on growing CA Natives including planting, maintaining, designing, and native plant garden examples. They also cover CA Natives and attracting beneficials. There is also a search tool by zip code and growing specifications to find the plants that will do well in your area. CA Native Garden Foundation - A non-profit educational, research, and resource organization that promotes gardening with California native plants. 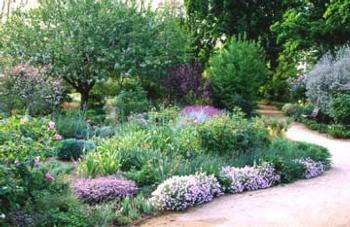 Their goal is to increase the popularity and use of California's native plants in the designed landscape.